02/01/2019 Completely satisfied! These guys were amazing! After learning that we had bed bugs and being completely freaked out one call to these guys and I felt very confident that we would be able to fix the problem. They came out as soon as we were ready from them and did the inspection quickly and got right down to business. Very professional and Discrete. We were bed bug free 30 days later! 01/17/2019 This company is amazing. Didi was awesome. He answered all my questions and took his time to explain every step that needed to be done. I would definitely use this company again and referred it to all my friends and family. 11/15/2018 We really appreciated the quick scheduling of the extermination process. Now 6 weeks later, still bug free. Thanks! 11/09/2018 Highly recommend this company. Didi and Anthony were extremely professional and knowledgeable. They promptly answered my first call and even suggested that I text a photo so they could do an on-the-spot assessment about whether we actually had bed bugs. From there, they showed up on time, thoroughly inspected our house and presented our options in a no-pressure way. We went with the heat/chemical treatment. No problems since and just finished our 30-day check in with the guys. All clear! 11/02/2018 Prompt response and service. We were happy to be able to schedule our service quickly. Anthony was very polite and professional. We would recommend this company to our friends and family. 10/22/2018 Didi did a great job of removing our bed bugs also for a reasonable price! I recommend anyone who has bed bugs to give Phoenix Bed Bug Experts a try. 08/31/2018 This company is the absolute best. They answered my call at 11:30pm after I discovered bed bugs and were able to come out the next day. DiDi and Anthony both inspected every room for bed bugs and then explained what my treatment options were. I got a heat treatment which is guaranteed for a year and they also sprayed. Since the day of the heat treatment I have not seen a single bed bug. 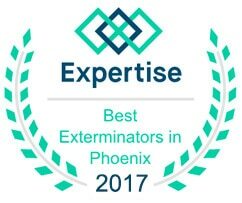 Thank you Phoenix Bed Bug Expert! 08/24/2018 Phoenix Bed Bug Expert...Didi, took care of our problem fast. Very professional and precise and we no longer have this issue. Didi was courteous and explained each step. Made taking care of this problem easy. Highly recommend! 08/06/2018 Great service and great price! Anthony and DiDi are the go two for bedbug! Don't need to say anymore then that! Pick them ! 05/11/2018 From the moment Anthony answered the phone, I was impressed. He was helpful, friendly, professional, and so informative. 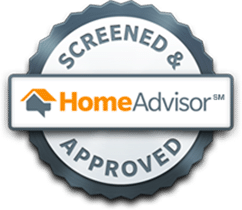 I was able to schedule a free inspection for a rental home that I manage. DiDi went right out, didn't try to push me into a buy, but was great and thorough. The owner chose to treat and they were out again and were fantastic. With over 600 properties that we manage all over the valley, I know we will use them again! 08/05/2017 I feared that we had bed bugs after staying in a hotel, and then a few months later experiencing a few bug bites. I had read about people picking up bed bugs from hotels. I found Phoenix Bed Bug Experts online. They came out the next day to inspect our home and to my relief found no bed bugs. There was no charge for the inspection. Anthony and DiDi were very knowledgeable and understanding. I was not made to feel silly for thinking I had bed bugs when there were none. 04/25/2017 Well, it's been a little over three weeks since we had our house treated for bed bugs. So far we have not seen one of those awful things crawling anywhere. Anthony was terrific. He came out and inspected our house and explained all of our options to us. We wanted the heat treatment and the follow up with the insecticide. Di Di was the technician that came out and he did an exceptional job. He was extremely professional and very friendly. They gave us peace of mind through an ugly time! 04/21/2017 Anthony is the owner of the company and I am happy to say he is the nicest person I have ever done business with. He came out and inspected my place and told me what he could do. Came back the next day and did a terrific job. I am so thrilled not seeing any crawling bugs. I very highly recommend Anthony and his company. He knows the bug business and he will kill them for you. Keep up the good work Tony. 11/19/2016 Anthony provided incredible and speedy service, he genuinely takes pride in his company and it clearly shows. I would very highly, and confidently recommend them to friends and family. 2 thumbs up for great business!!! 11/06/2016 I hate everything about bed bugs. This company sprayed one time and we saw bugs for about 2 weeks after they sprayed. I was told to wait 30 days before getting another spray. It's been hell these last couple weeks but my kids haven't had any new bites. I've been checking their beds every night and we are still in the clear. Thank you for caring so much about our family. These guys are the best. 10/18/2016 I have nothing but good things to say about Phoenix Bed Bug Expert. After receiving a chemical treatment from a different company that was not completely effective, I decided to research other companies to try and get this problem solved. 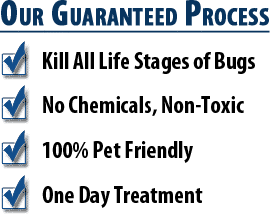 Phoenix Bed Bug Expert was one of the first companies that appeared in my search, and I decided to give them a call because of their amazing reviews I had seen online. Anthony came out the next day and did a very thorough inspection. After explaining to him that I would feel more comfortable getting a heat treatment done rather than another chemical treatment, he understood and scheduled it just a couple days later. He was more than willing to help me prepare for the treatment and answered all of my questions. The heat treatment went very well and I can say for the first time throughout this unfortunate time that I feel at ease. Anthony will be coming out next month to do another inspection to confirm that the bugs are gone. I hope I never have to deal with bed bugs again but if I do, I know who I will be calling in the future. 09/14/2016 I was so afraid when I found out that i had bed bugs. Anthony came over right away and assessed the situation. We decided to go with a heat treatment. Tyler came over and was very professional. I have not seen a live bug or a bite since the day of treatment. I would highly recommend this company to anybody. 08/28/2016 I will say our first impression was less than desirable. What this company has going for it is an owner who cares about his company and his reputation. The owner made it his mission to make us both a customer and a satisfied customer. I have held off almost a month and to this day we seem to still be in the clear. He came in, did what he said he would do and left us extremely satisfied. 03/06/2016 They were extremely courteous and knowledgeable. They answered all of our questions and put us at ease. We followed the instructions they gave us and it appears we are now bed bug free. I highly recommend this company. 02/17/2016 So I was freaked out when my friend and I discovered we had bed bugs (like anyone would be!) and wanted immediate care. We luckily knew of this company and contacted Anthony and he came instantly. Anthony and Tyler made us comfortable and I would recommend them to anyone and everyone. They have great service, best at what they do and are very polite and fast. We haven't found any sine they have been here!! 02/15/2016 Anthony was amazing!!! He helped me to feel comfortable and not embarrassed about the possibility of having bedbugs! He did a thorough inspection and to my amazement I did not have bed bugs! Anthony was never in a hurry and he took his time to assure me and to educate me as well! I immediately felt safe with Anthony inviting him into my home. 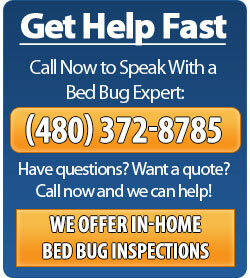 Trustworthy & customer service excellence is assured with PHX Bed Bug Expert!! 12/02/2015 i have done business with Bed Bug Expert and I am very happy with they work and price . 11/30/2015 Alex was amazing! I have never had somebody give me such reassurance in such a crazy time! He was fast, gave me simple instructions, and told me exactly what to expect. I was so scared these things would never go away! Alex recommended chemical treatment, came out to inspect again today, and gave me the clear! 1 treatment only, and I can sleep again! I must have called him a thousand times with questions while freaking out, and he would calm me down, and assure me he had taken care of the problem! Sure enough, he was right!!!! I would recommend Alex to EVERYONE! Alex is my new hero! I can't say enough to thank this man for being there! I could cry knowing that respectable companies are still out there. Thank you Alex!! On this page you will find reviews that past customers have left for us. You can also add your own review by clicking here.